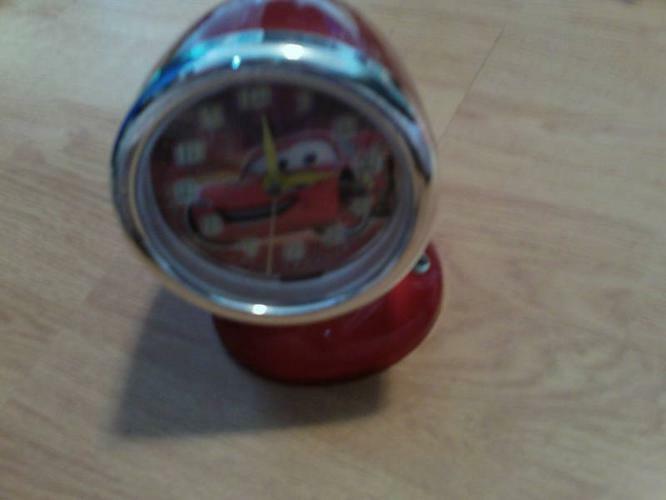 Cute little alarm clock with lightening macqueen on the face of the clock. excellent condition - never used. runs off of batteries. Paid $25 but asking $15 OBO. The "headlight" can move to different angles. Great little gift for a Cars fan!